Vertical-type (glass) edge grinding machine - SHIRAI TECH, LIMITED. This is a vertical-type edge grinding machine for FPD coated glass substrates. 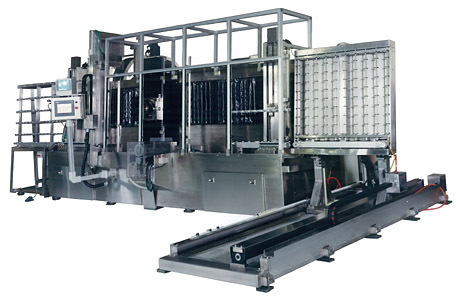 The machine has been designed to stand upright to prevent water from splashing during the grinding process, thus keeping the glass surface clean and increasing the efficiency for downstream machines. to 32" from 120" glass, Others require separate discussions.